Is goldenseal root an alternative antibiotic? 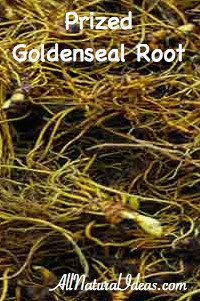 Many agree that the root of the goldenseal plant has antibacterial and anti-inflammatory medicinal properties. Goldenseal goes by numerous names dependent on where you are in the world, but regardless of what goldenseal is called people around the world all use it similarly. Goldenseal is a small, stout herb that is found primarily in the Ohio River Valley and Northeastern states of the United States. It’s a perennial herb in the buttercup family. Goldenseal is primarily consumed orally by pill or liquid extract to serve as an immune system booster and topically to treat minor wounds and cold sores. Is goldenseal root an alternative antibiotic? Goldenseal has been proven beneficial as an antibiotic and anti-inflammatory alternative to traditional medicine. Many people often take goldenseal at the onslaught of a cold or flu. When taken during initial symptoms, the worst flu symptoms are often prevented. Goldenseal taken early can yield to less mucous, relieve sinus congestion, and keep fever down. Goldenseal is considered an immune system builder and antibiotic because of its composition. 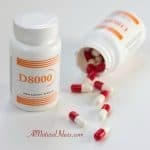 Some key components include: calcium, iron, manganese, vitamin A, vitamin C, vitamin E as well as alkaloids. 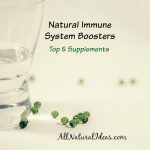 These compounds have been proven to boost immune health and prevent sickness. The alkaloid berberine in particular exhibits strong qualities of fighting against bacteria, giving goldenseal its antibacterial traits. 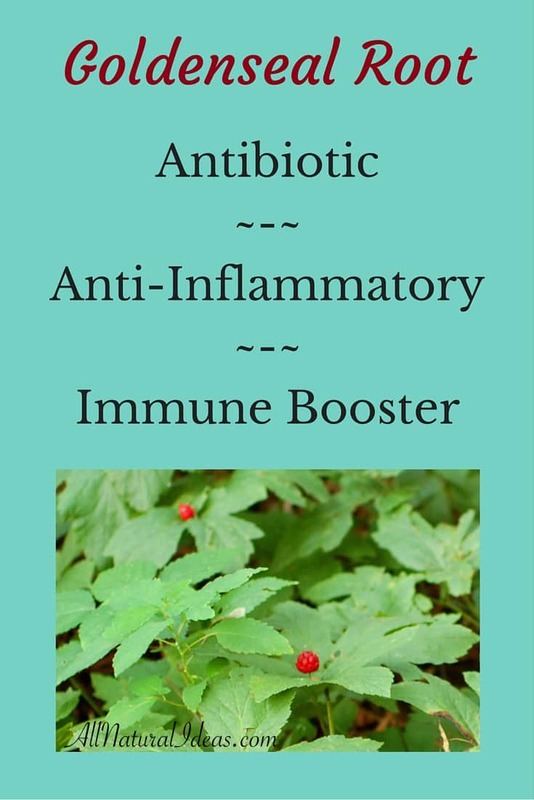 Goldenseal has served as my immune system builder for over 10 years now. Whenever I come down with a flu or cold I always reach for my bottle of goldenseal as well as my grapefruit seed extract. My symptoms will usually only persist for another day, two at most, after I begin the goldenseal/grapefruit seed extract combination. 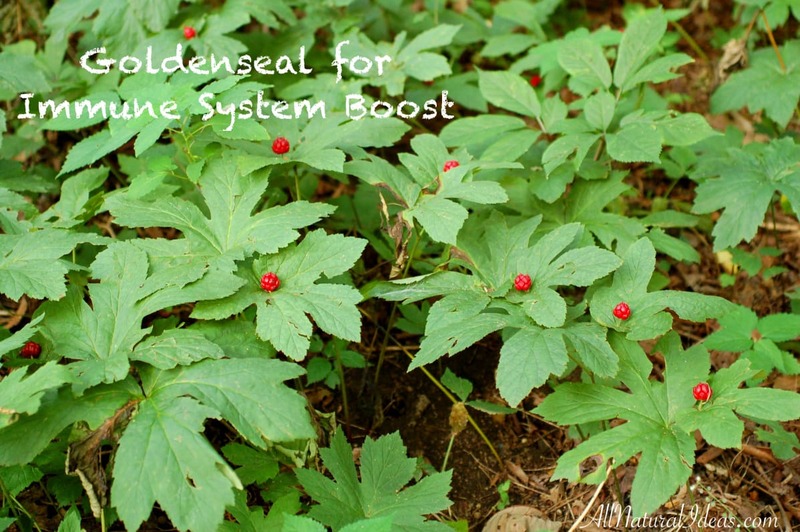 Goldenseal works great, and I will always keep it handy during the winter months when it is expected to get sick. I have not tried goldenseal yet for bacterial infections; typically I use my bottle of grapefruit seed extract. However, I plan on using goldenseal for my next bacterial infection rather than going to a doctor for antibiotics. 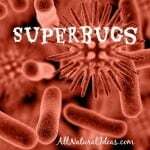 I am always willing to choose the natural alternative to modern day medicine because it is proven to be easier on your health, and prevents the creation of worsening microbs. Goldenseal has helped prevent full flu outbreaks going on ten years, and I plan to continue the tradition for the years to come. Disclaimer: I am not a medical professional and am not qualified to diagnose illnesses. However, all information was taken from various resources found on the internet.